The Israel Bible is the world’s first Tanakh, Hebrew Bible, to highlight the special relationship between the Land and the People of Israel. Through traditional and contemporary Jewish sources, The Israel Bible seeks to present God’s eternal and unchanging love for the Promised Land and His Chosen People from biblical times until today. *Please note, because of Hebrew text, The Israel Bible is bound on the right. The Israel Bible is the world’s first Bible centered around the Land of Israel, the People of Israel and the dynamic relationship between them. Designed for both Jewish and non-Jewish readers alike, The Israel Bible offers a unique commentary that seeks to explain God’s focus on the Land of Israel alongside the original Hebrew text and the New Jewish Publication Society translation. All 929 chapters highlight verses that relate to Israel, including relevant quotes and perspectives from prime ministers, as well as abundant maps, charts and illustrations. In the 70 years since the modern rebirth of the State of Israel, the Jewish State has been at the forefront of the world’s attention. Today, there are countless efforts to vilify the Jewish state. 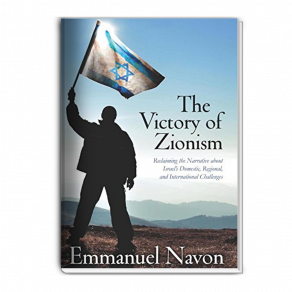 Yet, there is also an ever-expanding movement of Biblical Zionists who stand alongside the nation of Israel as an expression of their commitment to God’s eternal word. As we seek to understand the clash between these two conflicting ideologies, while seeking to make sense of the modern world’s great interest in Israel, the need for The Israel Bible has never been so timely or important. The Israel Bible is published by Menorah Books, a division of Koren Publishers Jerusalem. MENORAH is your destination for quality books addressing contemporary Jewish life and belief, while inspiring thoughtful reflection and conversation. Offering books for both adults and young readers, Menorah’s titles seek to inspire thoughtful reflection in areas of Jewish spirituality and religious experience, guiding the reader towards a deeper and more personal relationship with God, one’s family and the world. RABBI TULY WEISZ served as a Rabbi for five years at the Beth Jacob Congregation in Columbus, Ohio before moving to Israel with his family. He attended Yeshiva University (BA), Rabbi Isaac Elchanan Theological Seminary (Rabbinic Ordination) and the Benjamin Cardozo School of Law (JD). He is the founder of Israel365, an organization which promotes the significance of the Land of Israel through a variety of innovative platforms. Rabbi Weisz is the editor of The Israel Bible, which is the flagship publishing initiative of Israel365. I ordered this excitedly and couldn’t wait to learn more about my Jewish brothers and sisters. Although I have never been to Israel, all the info I could find about this bible was excellent. I rated this 1 Star, only because I had to give it something.